Guinness has officially recognized this flexible feat of trying to fit as many people as possible into a Smart. Ok, we have a thing for , but if you’re over five foot, 18 years of age, and have the flexibility of a contortionist, you too could try and break one of Guinness’ ridiculous records. This one was set in New Zealand where members of the Candy Lane dancers attempted to set the record for most people crammed into a Smart Car. The subcompact is 8.8 feet long, claims to have plenty of leg and headroom, and boasts twelve cubic feet of trunk space, so this should be a cakewalk. The Vienna Vikings Cheerleaders were the previous holders with 15, so that was the number to beat. 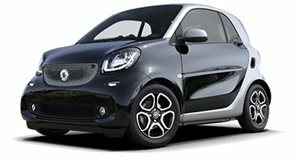 It may seem an impossible task, but the video proves the Smart ForTwo has more room than you may think. Head to the 2.05 min mark to witness the record take place.